State Sen. Floyd Prozanski (D-Eugene), the powerful head of the Senate Judiciary Committee, last Friday unveiled a draft bill that would ask voters in the November 2014 election whether they wanted to legalize marijuana. The announcement came as lawmakers began debating whether to advance the issue. Under Prozanski's plan, the legislature would pass the bill, and the marijuana legalization question would then appear on the November 2014 ballot. If approved by the voters, the legislature would then be charged with crafting regulations in 2015. Next year, Oregon has only a six-week special legislative session beginning in February. That's why Prozanski wants solons to handle the regulatory issues in 2015, when there is more time. Prozanski said a vote on legalization is inevitable, and if the legislature doesn't act, activists will put their own measures before the voters. At least two initiatives are already in the works, one by Paul Stanford, the controversial force behind last year's failed Measure 80 campaign, and one by local activists organized as New Approach Oregon, which is already picking up some seed money. "It is here, we need deal with it," Prozanski said in remarks reported by the Associated Press. "Because if we don't deal with it, it's going to be given to us, and I think we'll have a lot of unintended consequences." New Approach Oregon spokesman Anthony Johnson told the AP it was too early to tell if Prozanski's draft bill would satisfy his group. If not, Oregon voters could have two or more separate proposals to choose from next November. 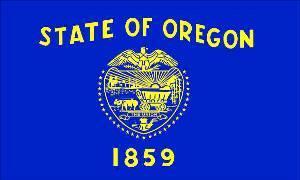 If your draft bill mirrors the language of the New Approach Oregon exactly then my vote is yes. If not, my vote is no. That simple. How is it that some half-wit politician is trying to put a bill with no language up for vote when we just defeated Stanford's measure for being too broad and unregulated. You think no information is better? You must be high. Under 21 wording of 475.864: (page 27) (3)(a) Unlawful possession of four avoirdupois ounces or more of marijuana by a person under 21 years of age is a Class C felony. (b) Unlawful possession of one avoirdupois ounce of marijuana or more, but less than four avoirdupois ounces, by a person under 21 years of age is a Class B misdemeanor. (c) Unlawful possession of less than one avoirdupois ounce of marijuana by a person under 21 years of age is a specific fine violation. The presumptive fine for a violation under this paragraph is $650. (4)(a) Unlawful possession of one-quarter avoirdupois ounce or more of marijuana product by a person under 21 years of age is a Class C felony. (b) Unlawful possession of less than one-quarter avoirdupois ounce of marijuana product by a person under 21 years of age is a Class B misdemeanor. Over 21 in public law: 475.864: (page 28) (6) Except for licensees and licensee representatives, it is unlawful for any person 21 years of age or older knowingly or intentionally to possess: (a) More than one ounce of usable marijuana in a public place. (b) More than eight ounces of usable marijuana. (c) More than sixteen ounces of marijuana products in solid form. (d) More than seventy-two ounces of marijuana products in liquid form. (e) More than one ounce of marijuana extracts. (f) Any marijuana extracts that were not purchased from a licensed marijuana retailer. (7) A violation of paragraphs (a) to (e) of subsection (6) of this section is a: (a) Class C felony, if the amount possessed is more than four times the applicable maximum amount specified in subsection (6) of this section; (b) Class B misdemeanor, if the amount possessed is more than two times, but not more than four times, the applicable maximum amount specified in subsection (6) of this section; or (c) Class B violation, if the amount possessed is not more than two times the applicable maximum amount specified in subsection (6) of this section. (8) A violation of paragraph (f) of subsection (6) of this section is a: (a) Class C felony, if the amount possessed is more than one-quarter ounce of such marijuana extracts; or (b) Class B misdemeanor, if the amount possessed is not more than one-quarter ounce of such marijuana extracts. The under 21 language in the New Approach initiative is exactly as the law is now. No change. Please don't spread misinformation. Yes and therefore not a "New Approach". The language was changed from everyone to “by a person under 21 years of age”. Giving felonies to under 21 is not good for Oregon. Since no multi millionaire daughter of a that cherite ex government minister, and no methodist minister or bank exec, or any supporter of the establishment and tacit supporter of prohibition will ever be interested in recreational drug taking, the matter need be considered no further, I think we all agree.